Harcourt Street’s grandest house is Clonmell House, built in 1778 by John Hatch for John Scott. Scott was a man on the rise. Although he was from a modest background (his brother was a tallow-chandler for heaven’s sake) he became Attorney General in 1777. 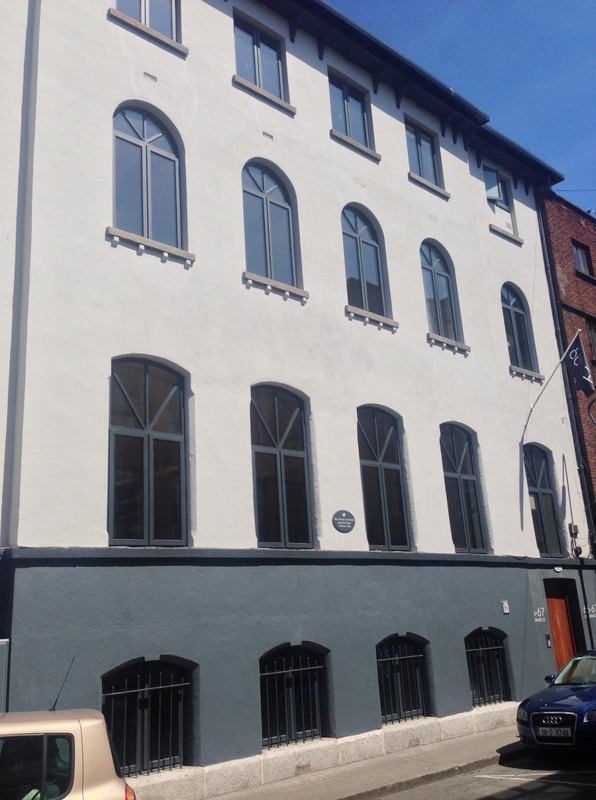 In 1784, along with being created Chief Justice, he was elevated to Baron Earlsfort of Lisson Earl, Co Tipperary. He was given the title Viscount Clonmell in 1791 and Earl of Clonmell in 1793. In his signature, he added an extra “l” to the spelling of his name, so that the wags would say: “Give Scott an inch and he’ll take an L.” Clonmell House originally had a frontage of 120 ft, with two wings, now gone, contributing half of the total. 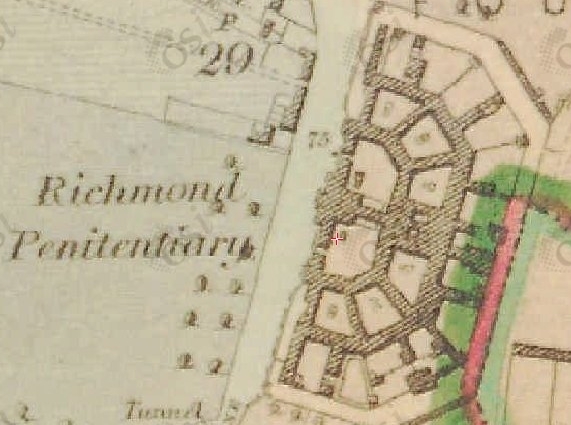 The wings are visible in the 1797 map, below. 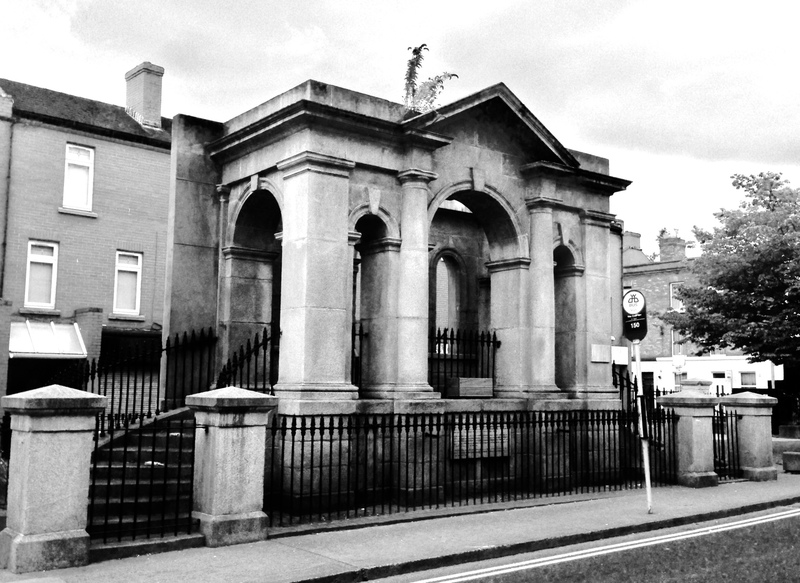 Across the road from Clonmell House is Clonmel St, which today leads into the Iveagh Gardens. 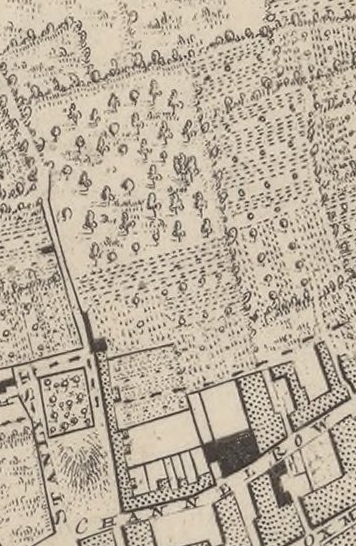 This plot is visible on the 1797 map of Dublin, marked as the Earl of Clonmell’s Lawn, a large pleasure grounds running the length of Stephen’s Green. 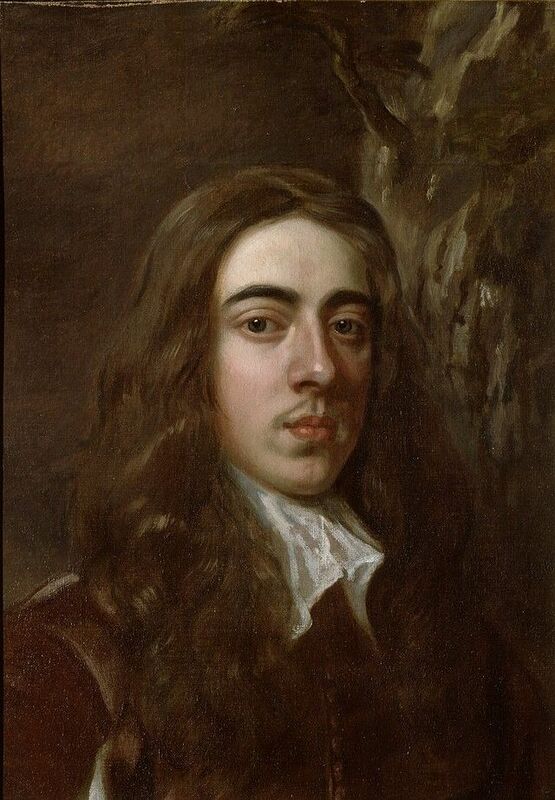 A subterranean passage brought the Earl from his house to the gardens without him having to walk over the street. 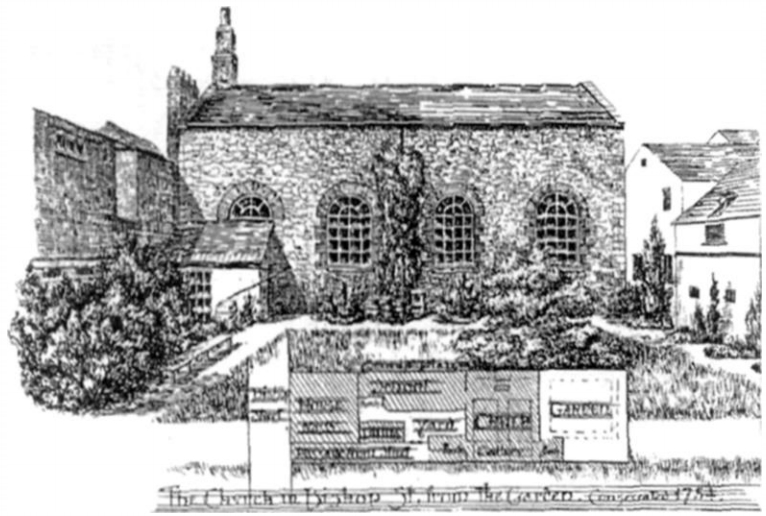 Earl of Clonmell’s Lawn (1797). Clonmell House just visible to the left. 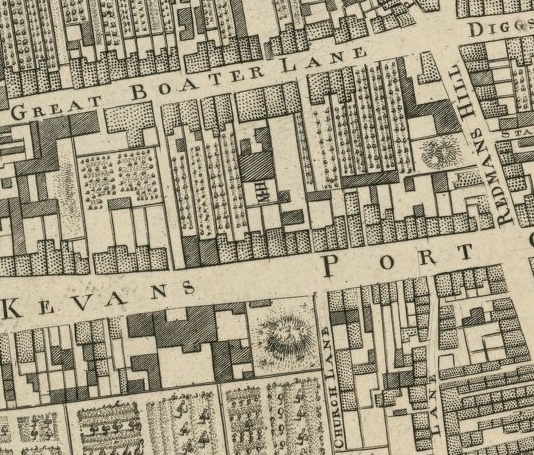 Stephen’s Green is to the top (N) of the map. 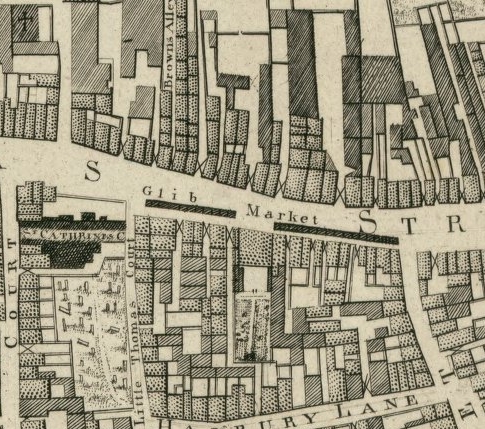 Clonmell Street was mapped by the Wide Street Commissioners in 1837, and these beautiful maps exist in the Dublin City Archives. 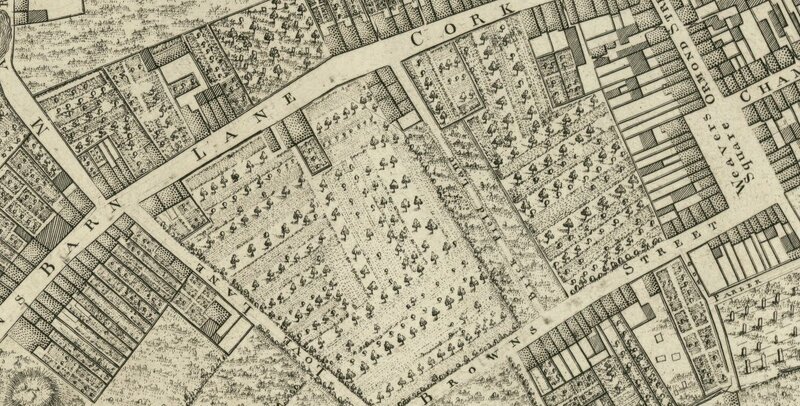 We can see the original plan for Clonmell Street was to run parallel to the south side of Stephen’s Green through what we now know as the Iveagh Gardens, with the intention of linking up to the newly laid out Earlsfort Terrace. This name now makes more sense when we see the connection. It’s worth noting that this track is really just a continuation of Long Lane, mentioned previously. 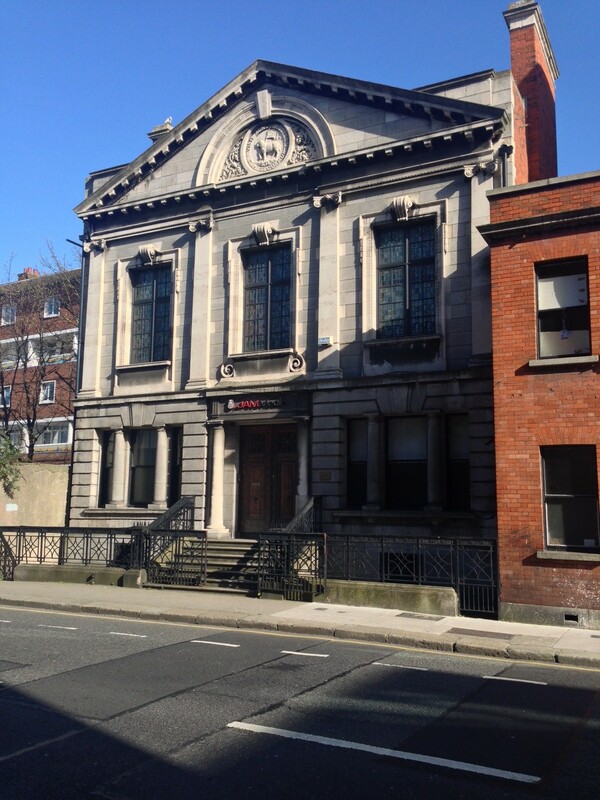 WSC-467-1 (Links to Dublin City Archive). 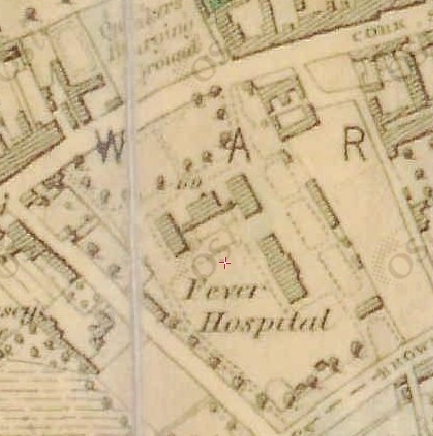 Stephen’s Green is at the bottom (N) of the map. 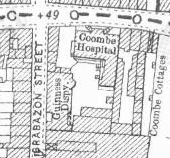 As well as this outline sketch, a much more detailed map of the proposed Clonmel St (now with just one l) was produced by the Wide Street Commissioners, and as can be seen, it was going to have a substantial number of houses. 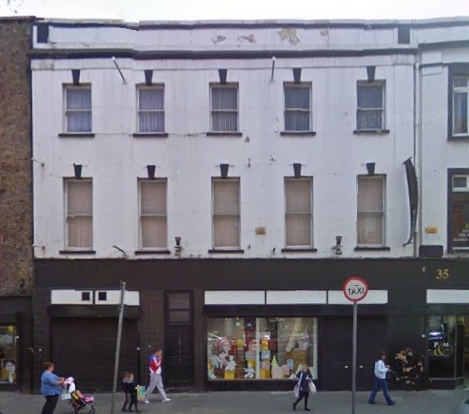 Of course none of this came to fruition, and the name Clonmel St was appointed to the small piece of open ground opposite the house, as it is today. 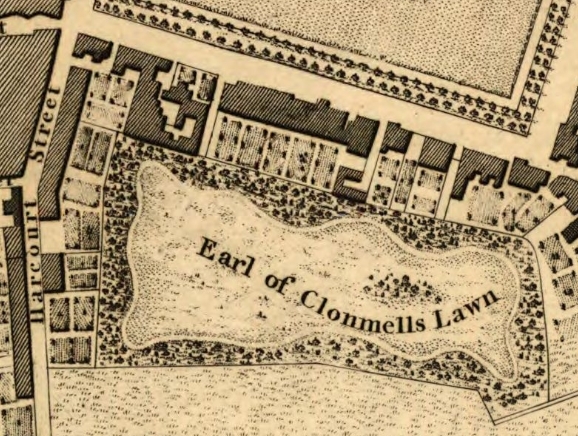 What then of the Earl of Clonmell’s Lawn? 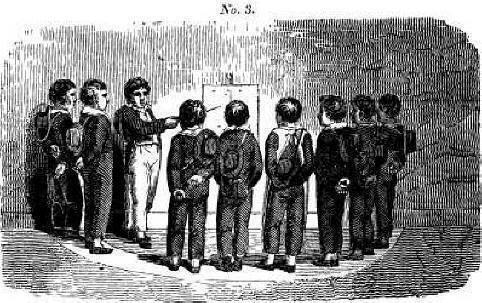 The 1st Earl died on the day the 1798 Rebellion began, and his heir Thomas, 2nd Earl inherited his estate, aged 14. 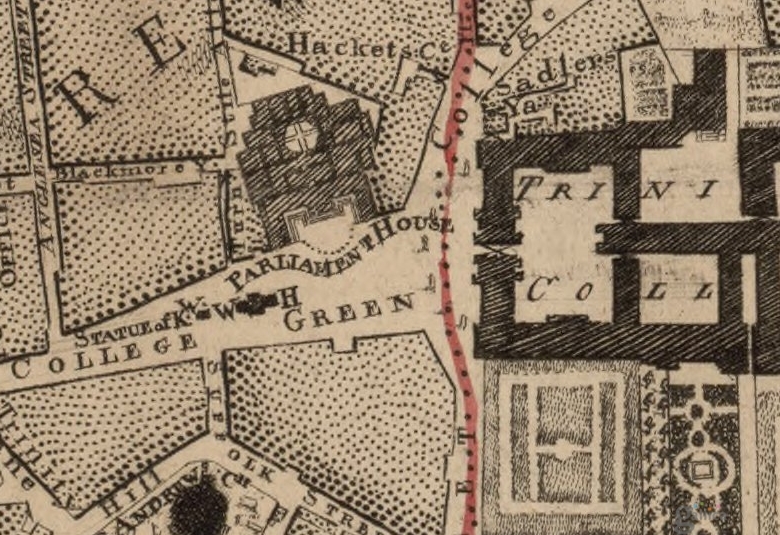 A large city house was redundant after the Act of Union, and the second Earl sold up in 1810. The gardens were reopened for public use about 1817; and renamed Coburg Gardens—something continental sounds fancy, don’t you think?—and they became a popular spot for the Georgians to loiter around, what with firework displays and bands to entertain them. The name is just about discernible on the early OSi map. 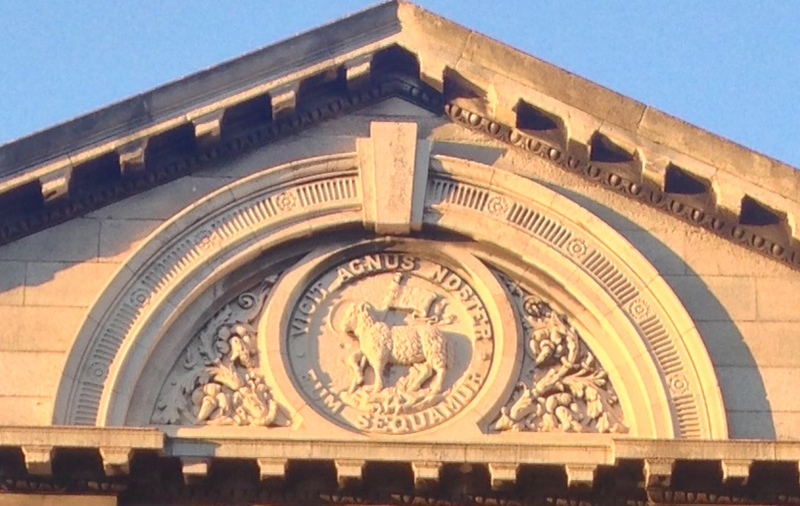 The entrance was from the south side of St Stephen’s Green, through the “Royal Horse Bazaar”. The gardens fell into disrepair again. “Sheep grazed there, between the piles of rubbish dumped by uncivic citizens” in the words of one commentator. 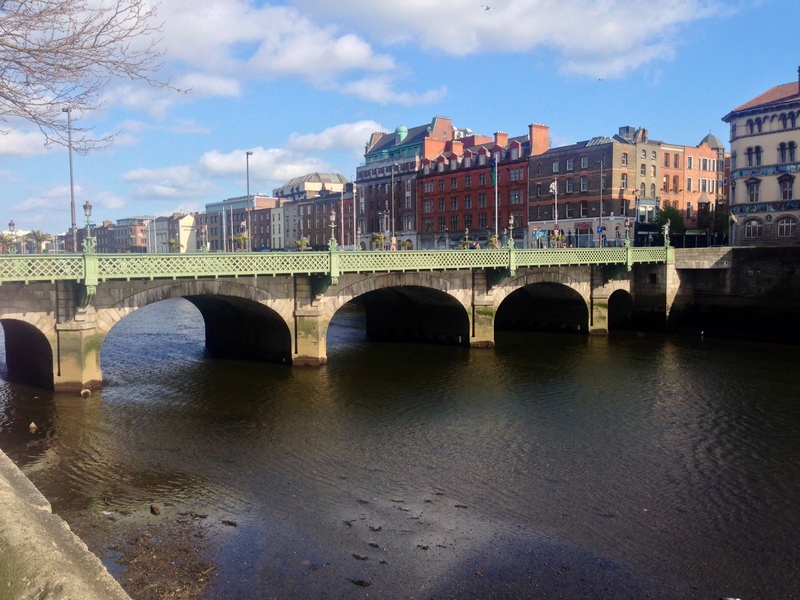 The site was selected by Sir Benjamin Lee Guinness (incidentally born in the same year Clonmell died) as the location for the Dublin Exhibition Palace and Winter Garden which were opened in 1865 by the Prince of Wales. Although the original exhibition had nearly 1,000,000 visitors, it just about turned a profit, if at all. Later exhibitions had much smaller numbers. 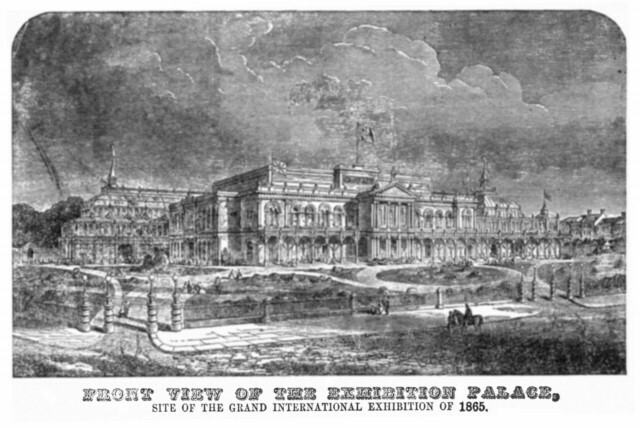 The exhibition building at Earlsfort Terrace eventually became part of the Royal University complex, along with the Winter Gardens, which had been laid out in 1862. They included walks, fountains, a maze and a 20 ft high waterfall capable of a flow of 1,400 gallons per minute. 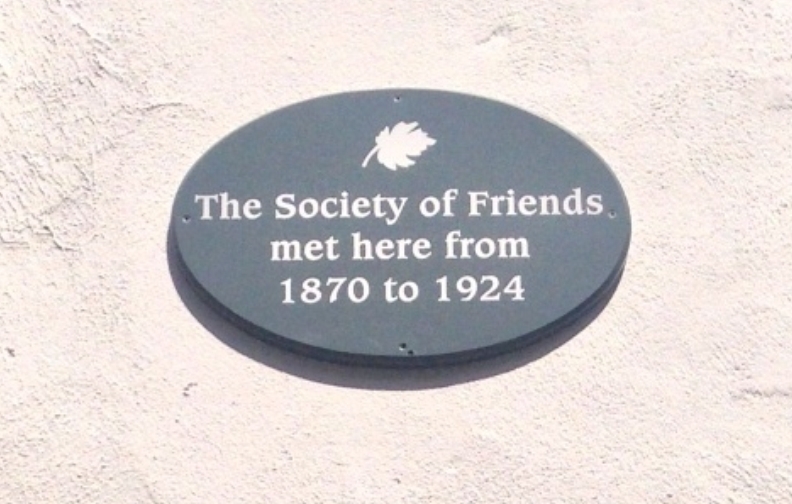 In recognition of this gift, and the fact that they lay behind the Earl’s Iveagh House on Stephen’s Green, they were renamed the Iveagh Gardens. And they are a treat.